He asked if meals were included in the price. He asked if he could bring his dog. He asked if he would be able to get vegetarian meals. He asked if he had to bring his own sports equipment. He asked if there would be instructors to help with each sport. 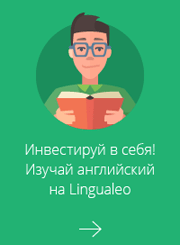 Определите, чем является выделенное слово: a) Infinitive, b) Participle I, c) Participle II, d) Gerund. Предложения переведите. Доброго времени суток!Ребят, еще раз спасибо за ваш труд, помощь действительно неоценима, готовлюсь к экзаменам и совсем не успеваю сделать домашку по английскому.Выручайте, товарищи!Буду очень признательна(и извините за то, что обращаюсь с просьбами так часто). а)I was at the lesson yesterday. в)I was not at the office at 10 o`clock. д)Where were you last Saturday? е)Were you a student in 19...? ж)I have a two-room flat. з)He has a daughter and a son. и)They haven`t this English book. м)I have a large room in Moscow. а)My son was a pupil last year. в)I was in Kiev two weeks ago. г)His friends were at our factory yesterday. д)My daughter was at the nursery-school last Tuesday. е)Wednesday was his day off last week. ж)Our engineers were in Volgograd last week. з)We were happy to see them yesterday. м)This student has a red pencil. н)These student have English books. о)Kotov has a good Russian book. а)Our engineers (was, were) at the factory yesterday. г)Our children(was,were) not at school yesterday. е)Who(was,were) your English teacher at school? з)My friends (was,were) in Kiev three years ago. и)Where(was,were) Mr.Petrov at 9 o`clock yesterday? к)My friend(was,were) not at his office last week.He(was,were) not well. л)Who(was,were) at the lessos yesterday?They(was,were). 1)He(to have) two questions to ask you. 2)What flat(to have) you friend?He(to have) a nice two-room flat. 4)Mike(to have) not a son.He(to have)a daughter. 5)(to have) you questions?No?we(to have)not. 6)Who(to have) a pen?I (to have).Give me your pen,please. 7)We(to have) a bathroom in our flat. 8)(to have) Jane`s daughter a room or a flat in Kiev?She(to have) a one-room flat. 9)Nina`s son(to have) not a red pencil.Give him your pencil,please. 1)MY SISTER`S HUSBAND was born IN 1998. 2)HIS BROTHER has A LARGE flat IN MOSCOW. 3)His elder SON was married LAST YEAR. 4)THEY do well at school. 5)THEIR FRIENDS study AT AN INSTITUTE. 6)HER PARENTS do not live in Moscow. 7)We have breakfast AT 9 O`CLOCK on Sunday. 8)HE doesn`t have an English lesson ON SATURDAY. Look at it. They are the toys. верно? You were not at the office at 10 o`clock. She was not at the office at 10 o`clock. Was I a student in 19...? Was he a student in 19...? You have a two-room flat. He has a two-room flat. You have a daughter and a son. You haven`t this English book. I haven`t this English book. You have a large room in Moscow. She has a large room in Moscow. Was my son a pupil last year? My son wasn't a pupil last year. Was I in Kiev two weeks ago? I wasn't in Kiev two weeks ago. Were his friends at our factory yesterday? His friends weren't at our factory yesterday. Was my daughter at the nursery-school last Tuesday? My daughter wasn't at the nursery-school last Tuesday. Was Wednesday his day off last week? Wednesday wasn't his day off last week. Were our engineers in Volgograd last week? Our engineers weren't in Volgograd last week. Were we happy to see them yesterday? We weren't happy to see them yesterday. Has he a daughter? / Does he have a daughter? He hasn't a daughter. / He doesn't have a daughter. Has this student a red pencil? This student hasn't a red pencil. н)These students have English books. Have these students English books? These students haven't English books. Has Kotov a good Russian book? Kotov hasn't a good Russian book. Это очень легкое задание, могли бы и сами попробовать. Was - ед.ч. ; were - мн. ч. 1) Who was born in 1998? When was my sister's husband born? 2) Who has a large flat in Moscow? What flat has his brother in Moscow? Where has his brother a flat? 3) Who was married last year? When was his elder son married? 4) Who does well at school? 5)Who studies at an institute? Where do their friend study? 6) Who doesn't live in moscow? At what time do we have breakfast on Sunday? 8)Who doesn`t have an English lesson on Saturday? When doesn`t he have an English lesson? Marina писал(а): Look at it. They are the toys. верно? Есть ли более широкий контекст? Скорее всего, Look at them. They are the toys... Посмотри на них. Они игрушки ... ????? Andrey, Так сразу скидывайте сюда. Мы помогаем бесплатно, но каждый может найти внизу страницы кнопку "Пожертвовать", нажать на неё и помочь форуму. Ребята добрый день! Пожалуйста помогите с заданием, нужно вместо пропусков вставить правильные слова. Буду олчень блгодарна Вам. В заранее огромнейшее спасибо!!! 1. Where do you ______? 2. In a ______, computers will be even more advanced. 3. This game is ______ automatically. 4. I think my father ______ drive me to the bus station. 5. I have been ______ letters all morning. 6. Carol ______ me what happened yesterday. 7. Let’s go to the park before it ______ dark! 8. Had she ______ the laundry? 9. Canada is ______ colder than Greece. 10. Tom’s cat died. He ______ be very sad. English Guru, огромнейшее Вам спасибо за ответ! Я очень благодарна! 1. The science of economics …… business, production, trade, inflation, etc. 2. Economic resources include material and non-material …… . 3. Economists test theories …… empirical evidence . 4. According …… the law of demand as the price for the good rises, the demand for it falls. 5. To make a higher profit the seller …… raise his price and reduce his production costs. 6. …… economic system has its benefits and drawbacks. 7. Planned economics have problems …… supply. 9. If you …… a great deal of money and want to buy something, you always face a budget constraint. 10. As a rule, monopolies are not good …… consumers as they are price-makers. 11. Increased output is the utility which employers get from …… purchase of labour. 12. It is impossible …… us to function without the services of banks. 13. If I …… him yesterday I would have told him about this meeting. 14. He can’t …… the work by now. 15. When economic growth is calculated inflation …… into account. 16. Those changes on the world market …… the companies to raise prices significantly. 17. The exchange rate may …… the whole economy: interest rates, balance of payments and economic growth. 18. There …… several ways to measure how developed a country is. 19. …… economy comprises millions of people and thousands of firms. 20. Changes …… the state of the economy affect all types of business. as schools and public safety. 22. Planned economies are sometimes …… ’command economies’. 24. Economists spend a lot of time …… to develop models of the economy. 25. Significant rates of inflation …… cause accounting and financial problems. 26. Inflation is often accompanied …… high interest rates. 27. Money can serve …… a standard of value. 28. Money is a store of value because it can …… used to make purchases in the future. 29. …… money you have to invest, the higher the return you can expect. 30. They didn’t meet yesterday, so they couldn’t have made the decision yet. 31. They …… able to come to an agreement. 32. Analysts write …… the countries will reduce their imports in a few months. 33. …… they afraid of losing their share of the market? 34. When …… negotiations start? 35. If there …… a slump in the world trade, many British industries will be affected by a fall in the demand for exports. 36. If they …… against the plan it will attract much public attention. 37. The managing director is making a speech …… the opening ceremony tomorrow. 38. They are not going to interfere …… the company’s affair. 39. The company is going …… a big investment in this industry. 40. …… you stopped to work there would be no protection for your family. 41. The suppliers …… several hours ago. 42. We have been …… for six months in national newspapers. 43. …… many companies invited to participate in tenders? 44. How quickly is the delivery usually …… ? 45. Money …… is the money in circulation. 47. Almost every country in the world has its own national …… . 48. An exchange rate is the …… of currency. 50. Monetary …… is one of the main instruments of macroeconomics. Choose the correct form of the verbs in brackets and translate the sentences. Consult the Grammar Support if necessary. 1. He (has, have been, will have) read the book on poetry by the end of the next week. 2. By the time he was 25 he (had, has, will have) become a Doctor of Philosophy. 3. The room (has, had, will have) not been slept in for many years. 4. Many new interesting magazines (has been, have been, will have) published by now. 5. The lecture (have, have been, will have been) delivered by this time tomorrow. 6. Their test (has been, had been, will have) written by 2 o’clock yesterday. 1. Вы уже перевели текст? 2. Я видел этот фильм недавно. 3. Он когда-нибудь бывал в Англии? 4. С тех пор она не была в Америке. 5. Мне только что задали этот вопрос. 6. Этот клуб уже посетили многие журналисты. 26. Complete the following sentences using the Future Progressive Tense according to the model. Model: Don’t leave (we, to have supper, in about 10 minutes). – Don’t leave, we’ll be having supper in about 10 minutes. 1. Is there anything you’d like to tell her? (I, see her, at the party today) 2. Don’t wait for me (I catch up with you, in a minute) 3. We must leave immediately (they expect us, out there before noon) 4. Don’t worry (I write shortly) 5. We needn’t trouble to send him the book (he, come, to see us, soon) 6. I can buy the medicine for you (I pass, by the chemist’s) 7. I don’t think it’s wise to wait for him (he, get home late, this evening). 6. While they were talking,	a.	as he was chopping wood. b.	he was sleeping in his bed. c.	while they were playing. d.	she slipped and fell. e.	I ran out of petrol. 2.Smirnov learns ENGLISH word AT HOME. Staff are very unhappy with the present changes. Productivity has fallen and staff turnover is high. These are some of the reasons for the staff's low morale. The new managers are always checking up on us and taking notes. No one knows why the are doing this. Since June, about 60 employees from the R&D Department have lost their jobs. They were given no reasons. Everyone thinks this is very unproffessional. Many members of staff are looking for new jobs. They want to move before they are made redundant. People are afraid that the new management will relocate the factories. Staff complain about the chanes the new management are making. I enclose a list of comments made by staff. -They're trying to do everything too fast - a new computer system, making us learn English , selling in new European markets and bringing out new products. - There was a family armosphere before. The management really cared about us. Everything was more informal. - We don't know where the company is going. We've no idea what our strategy is. - We get e-mail messages from Head Office telling us what to do. Surely they can trust the management over here to make the policies and decisions?